Whether you have a landscape project in mind or just want a lush, green lawn all year long, planting the right kind of grass that adapts readily to Texas heat is essential to cultivating an award-winning lawn. Fortunately, several grass types are available that are low maintenance, drought-resistant and flourish in the heat during the summer months. With a deep and extensive root system capable of accessing moisture during drought, Bermuda grass is perfect for Texas commercial and residential landscapes. In fact, Bermuda grass requires heat and full sun to grow thick and green. Although you won’t need to water Bermuda grass, it will respond nicely to irrigation and may fall into dormancy if you don’t water it during drought. High tolerance to heavy foot traffic also means Bermuda grass makes an excellent grass for kids, pets, and water features. Bermuda grass needs to be fertilized only once or twice a year, as long as the soil pH is acidic (between five and 6.5 pH). Fertilizer should contain potassium, phosphate, and nitrogen. Generally, Bermuda grass is adequately aggressive towards resisting insect and weed problems. Providing a green, lush lawn with coarsely textured, 3/8 inch blades, St. Augustine grass grows rapidly in full sun but is also partial-shade tolerant and resistant to mild and moderate drought. Texas lawn owners rarely need to water St. Augustine grass except during very long periods of drought. Be aware that this grass is a low-traffic grass that adapts well to places where foot traffic is limited. Since it grows so quickly, St. Augustine grass needs to be frequently mowed, except during winter when it lies dormant. Feed St.Augustine grass with iron-rich fertilizer to maintain its health and beauty. Heat and drought resistant, Zoysia grass withstands heavy traffic due to its stiff, durable blades. Tolerant to moderate shade, with low water and minimal fertilizer requirements, Zoysia grass will turn brown if it frosts but quickly resumes growing once soil temperature reaches 68 to 70 degrees. Its hardy, thick growth pattern also makes it exceptionally resistant to weeds and disease. Once Zoysia grass seeds are planted, germination occurs within two to three weeks. Additionally, this grass thrives in all soil types, including clays, sands, and acid or alkaline soils. Zoysia japonica (Japanese Zoysia grass) is more coarsely textured than other Zoysia grass types and is the only species that can be grown from seed. Growing well in some shade but developing more fully into a beautifully dense, lush lawn in direct sunlight, Zoysiamatrella stays green unless a hard frost affects its growth pattern. This type of Zoysia grass cannot be propagated by seeds. Instead, sprigs must be planted for it to develop properly. Landscape by Design is proud to be the #1 choice for lawn and landscaping needs in the Aledo, Keller, Colleyville, Southlake and Fort Worth areas. 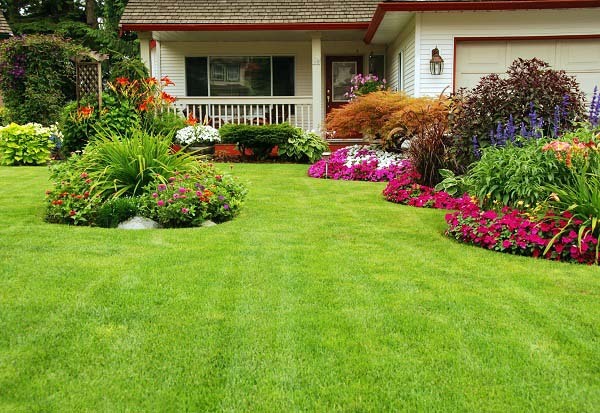 Call us today to schedule a consultation or for more information about renovating your home or commercial lawn.